100% compatible with 3rd edition fantasy role-playing rules. This mammoth volume provides everything you need to create you own adventures in the world of Norrath or introduce the best of EverQuest into your existing game. 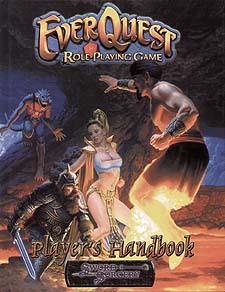 Everquest is an excellent RPG system similar to DnD but with its own twist that makers this games well worth buying even if you are an avid fan of the Dungeons and Dragons system. Also if you are venturing into the world of Roleplay after playing the online game, this is a must, the rules are simple and the world is the same.